If It Pays, It Stays? Growing up, I was taught that one could catch, hunt, eat, photograph or film wild animals. The mantra was "if it pays, it stays". Later I discovered there was another component to savings wild animals and that was to go into partnership with them. Certain Big Cats and Elephants, were amenable to forming symbiotic partnerships with human beings. For 14 years we documented her life and those of 19 of her cubs. In short, we formed a partnership with her. The nineteen cubs that the mother produced, grew up habituated. Vehicles following them, photographs being taken was the norm in their daily lives. As these cubs dispersed from Londolozi, other game lodges formed partnerships with these leopards. Mala Mala, Sabi Sabi, Lion Sands, Singita have all had wonderful, rewarding relationships with male and female leopards. Like every partnership, if it is symbiotic, it endures. If it is one sided, it fails. All partnerships are built on trust and if one party breaks that trust, then the partnership dissolves rapidly. Therefore one cannot take jeeps full of guests to photograph the leopard for 51 weeks of the year and then on the 52nd week, one brings a hunter to shoot the leopard. If you do this, you have broken your side of the partnership. This is despicable! Sadly, it happens often. The Timbavati, one of the best known private reserves in South Africa, are heavily invested in eco tourism. Many fine lodges in Timbavati host overseas guests and create valuable jobs in the local communities. Everyday guests from the Timbavati lodges go out in search of the magnificent 100 pound tusker. Some guests are lucky enough to see and photograph him. One day this year, the guest will not carry a camera, he or she will have a high powered rifle. The symbiotic relationship that has brought joy, knowledge and inspiration to so many people, will be gone. The bull elephant will be gone. 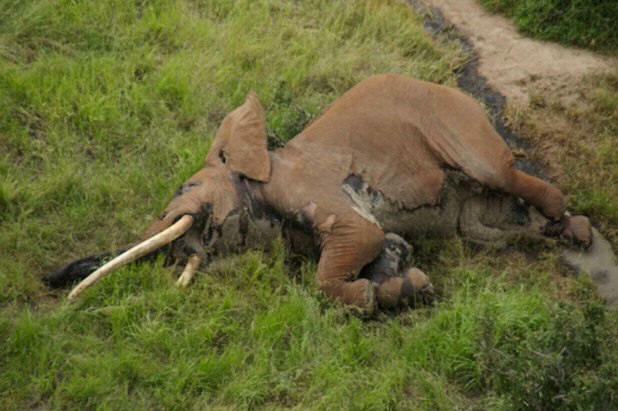 The bull elephant will lie lifeless on the ground. A wealthy person who has paid a great deal of money, will have their picture taken and later the head and magnificent tusks will be displayed in their trophy room thousands of miles away from where the magnificent bull once roamed. Timbavati are trying to have their cake and eat it. We will photograph you when it suits us and shoot you dead when it suits us (The proposition put forward is that he is no longer a breeding bull, he is past his prime). If Timbavati earns 70% of their income from hunting, then why do they advertise themselves as eco tourist destinations? Is this not misleading? Combining hunting and eco tourism, is fraught with problems. The two are contradictory. Timbavati's attitude is not in line with world trends. The new frontiers are interspecies communication and a harmonious road that allows different species to live in harmony together. As human beings approach 10 billion on planet earth, we are endanger of consuming the earth's resources at the expense of all other species. More and more species are becoming endangered at our expense. 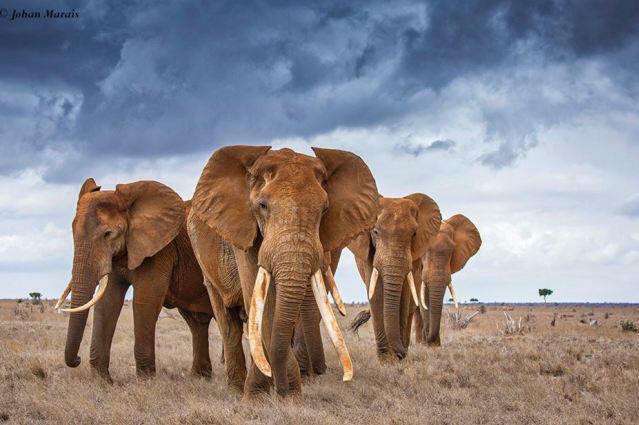 If we cannot allow a hundred pound bull elephant that has brought us joy, knowledge and inspiration over so many years, to live out his last days in peace, we as a species are doomed to failure. The good rains at Tiger Canyons have shifted the balance greatly in favour of the tiger. During the 2 year drought, there was little cover for the tiger to stalk. Now with knee to waist high grass, the tiger is in its element. Even zebra out in the open grasslands, have been caught by the tiger stalking through the 1.2m themeda grass. In the drought, I would have graded the habitat for tigers as no more than 4 out of 10. Now it is an 8 out of 10 habitat. The beautiful green landscape are providing magnificent pictures as the golden cats contrast against the green.